What does a pet mean to you? Many people spend their lives together with dogs in their lives, who become loved ones and part of their families. Behind the growing number of families adopting dogs, there are some people who do not accept the responsibility and abandon them when things don’t work out. The abandoned dogs find themselves in bad circumstances, wandering around the streets and encountering car accidents or other dangerous factors. But there are some angelic people in the world who accept these homeless puppies and welcome them into their families. Bobbi Henry, who lives in Decatur, Georgia adopted her own rescue dog three years ago. Bobbi was a former high school guidance counselor and also worked counseling inmates in a maximum facility prison. Today, she is a Reiki master and practices the healing art of energy to open up channels in people and dogs. People who have rescue dogs have special stories about their unique relationships. 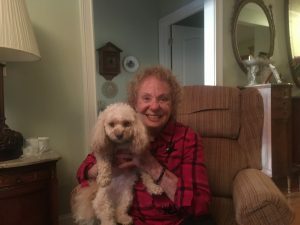 Bobbi shared her story about her rescue dog, Dash. 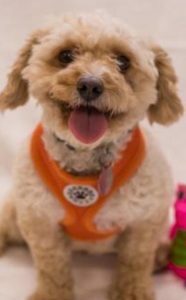 One day, by chance, she was on her computer, and just happened to pull up a rescue dog website, Furkids and saw Dash’s little smiling face. She put a request in but never heard back and decided it wasn’t “meant to be”. Two or three weeks later she checked again and another face popped up reminding her of the first dog she had seen, This time, when she put in a request — they responded. It turned out that the first adorable face she saw weeks before was actually from Dash’s litter. In addition to that coincidence, the same day Bobbi received a link to check out a potential rescue dog and it turned out that it was the same dog — the the same one among the thousands and thousands of dogs. She saw this as a sign that Dash was for her. When Dash was first found, she was in the street at night and her rescuers thought she was a bush, but they noticed that it was trembling. When they got closer they realized it was actually an animal. 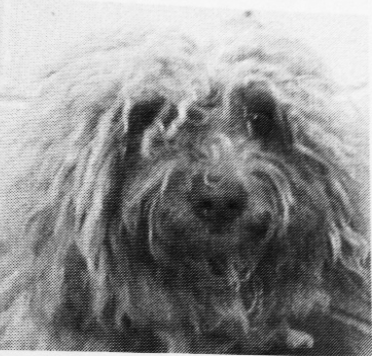 It was Dash with her overgrown, matted hair that indicated how long she had been on the streets– probably about a year and half. They picked her up, and shortly after she arrived at the shelter, she gave birth to a litter of puppies. She was housed at a foster home where she and her puppies were well taken care of. Bobbi was selected from among many applicants and adopted Dash into her forever home. What is the meaning of the name Dash? Jungwon Won is a student from Soongsil University from South Korea since 2015. Now she is at Kennesaw State University as an exchange student. she has double majors in English and International Business.